Archive for category Why “M”? What is at the core of this site? What is it’s purpose? What does the initial “M” mean? 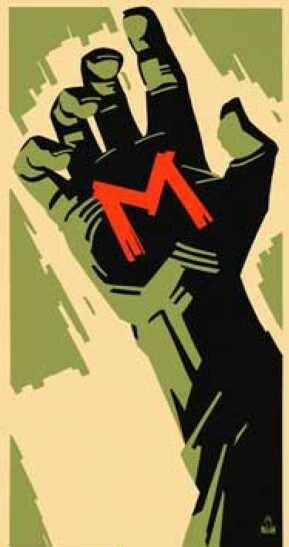 There is a duel meaning to me behind this iconic initial, utilized and made famous in Fritz Lang’s “M”. In the movie it was used as a mark to catch a criminal. Here on this site I also use it as a “Mark”, capital “M” for the word. Its meaning discusses those who have left a mark on cinema’s history and on how future film makers, myself included, can also leave its mark on film’s history. It also has another meaning, “Movement”, capital “M” for the word. Here we examine movements of history, and how we may advance the craft in full by creating new ways of thinking of the past and present, which will beget our future. Therein lies, the “Duality of ‘M'”. You are currently browsing the archives for the Why “M”? category.